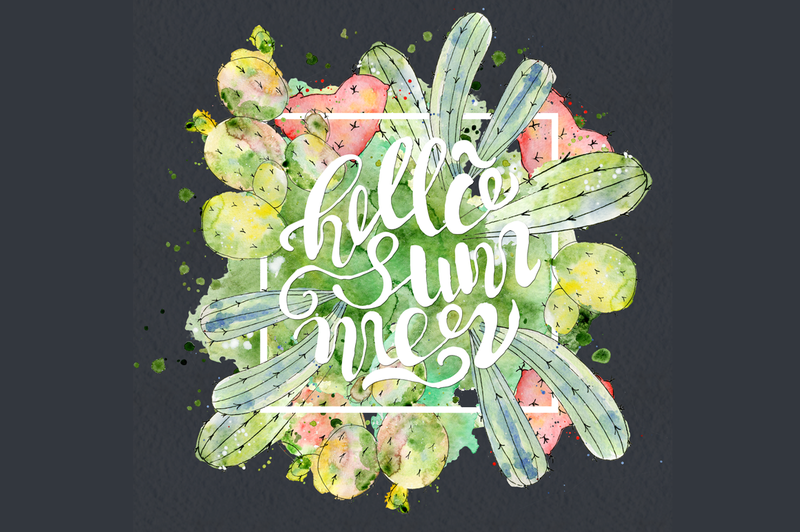 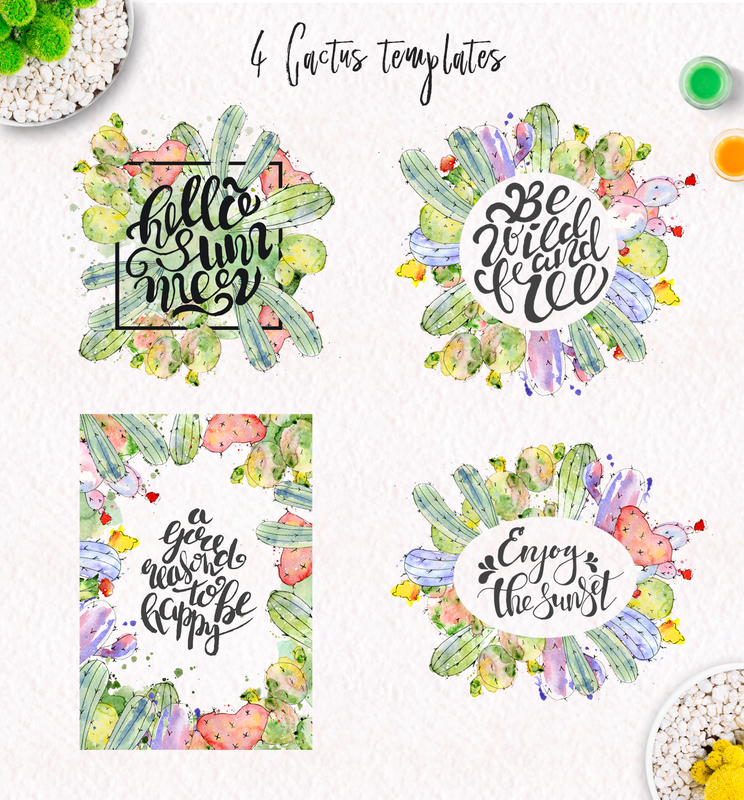 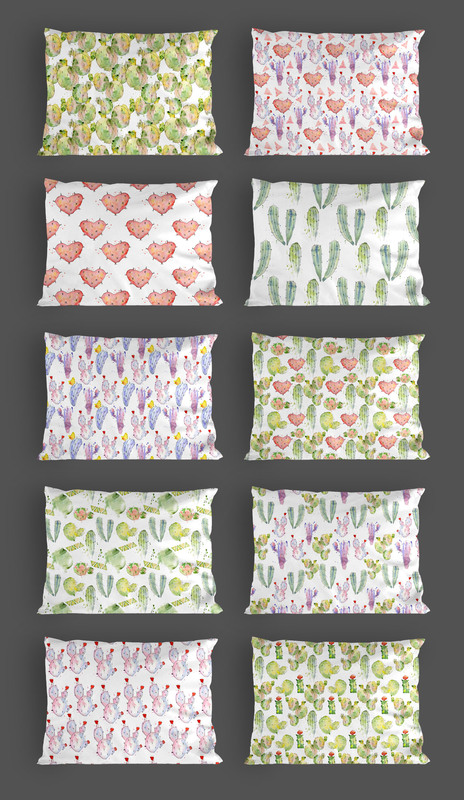 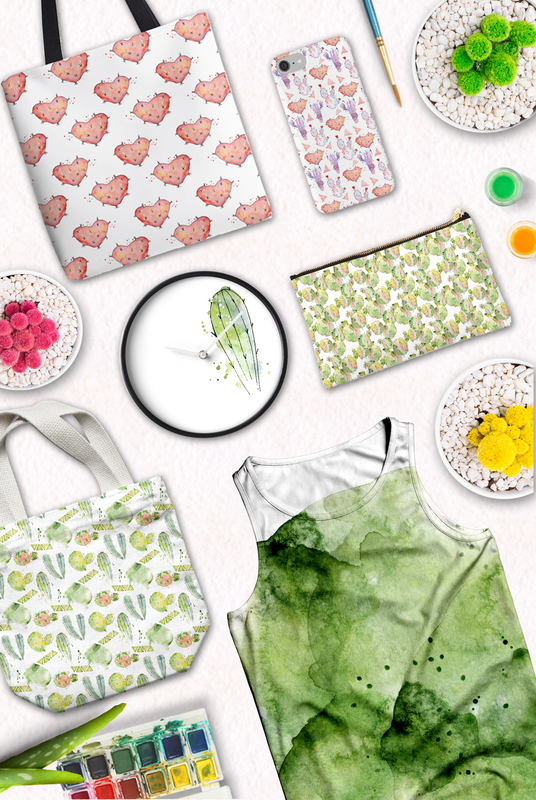 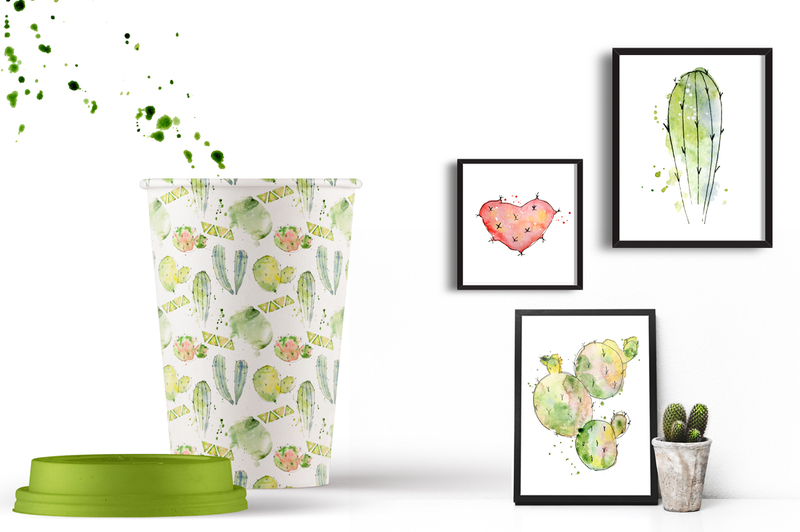 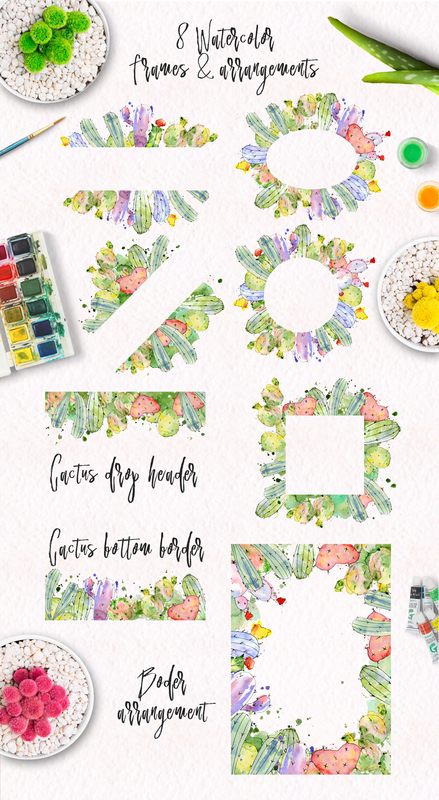 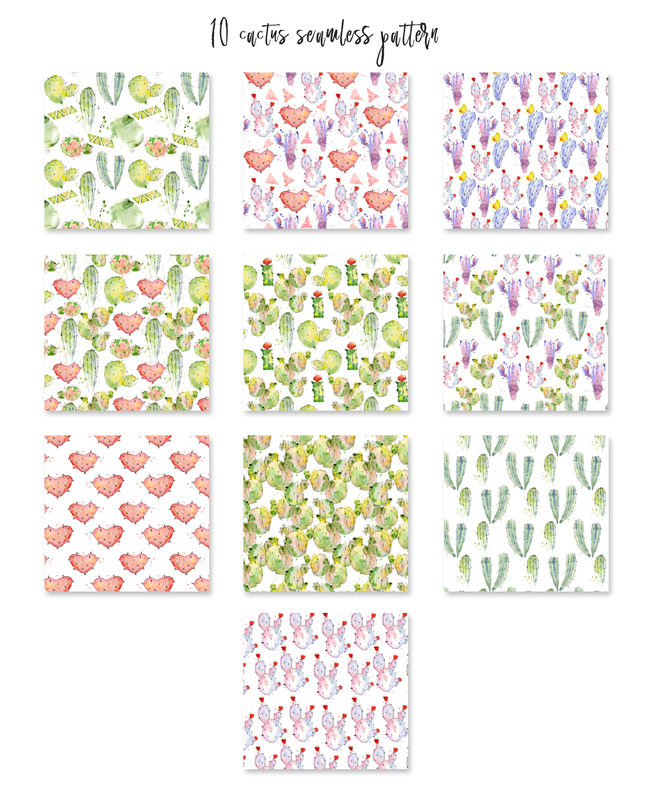 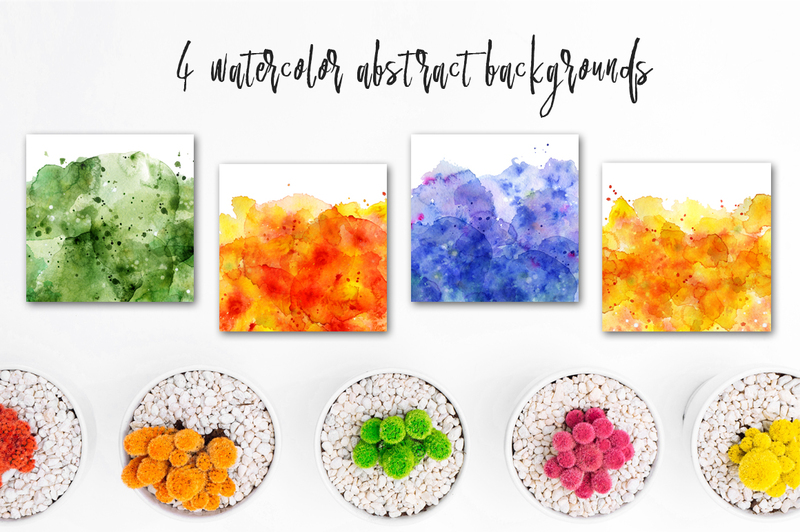 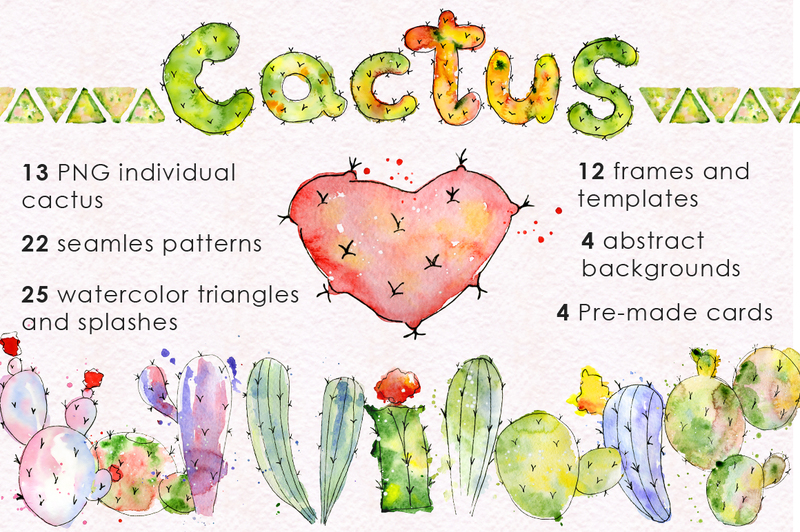 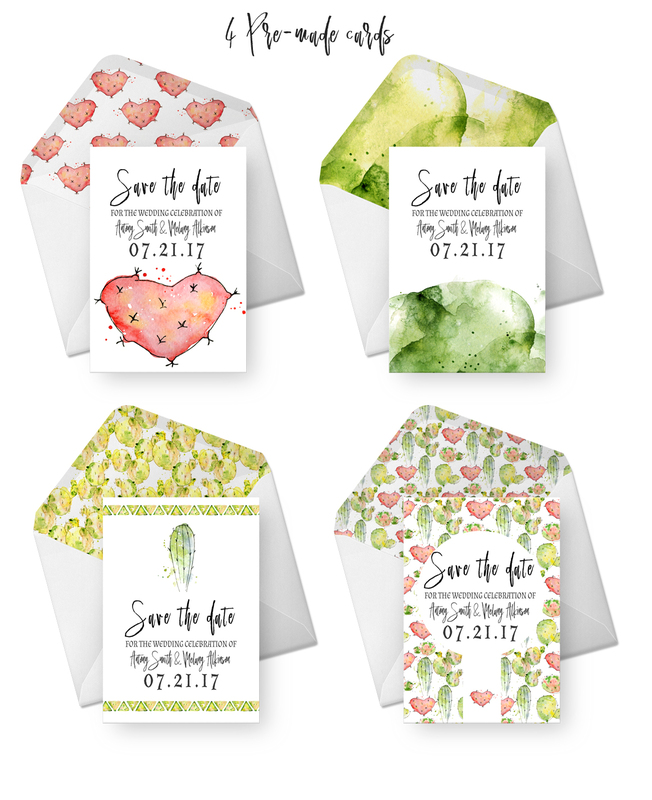 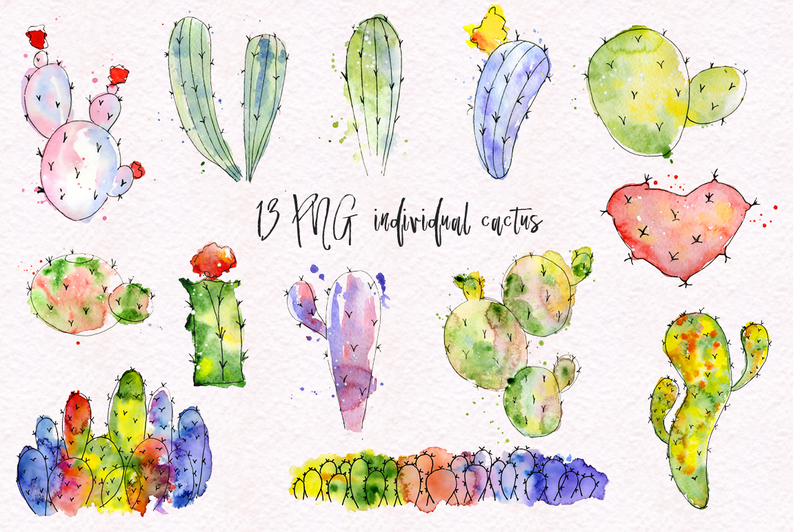 With this file you will able to create awesome and unique greeting cards, logos and any type of designs with cute hand-drawn cactuses. 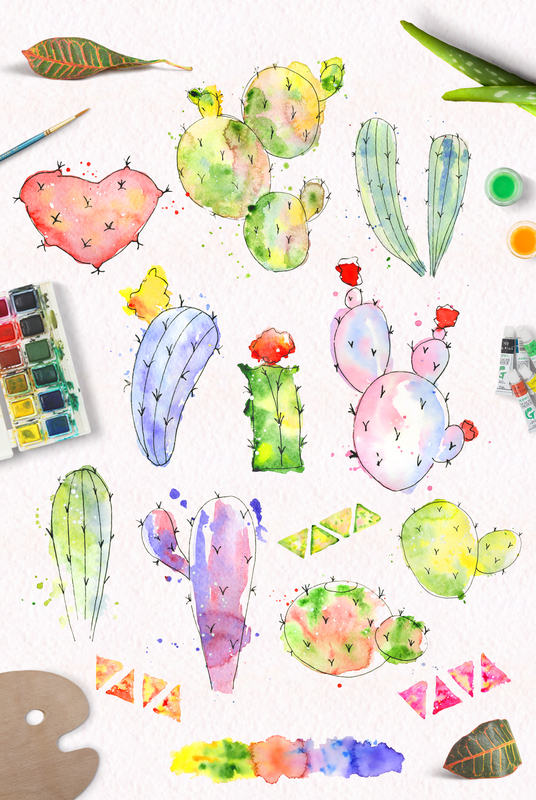 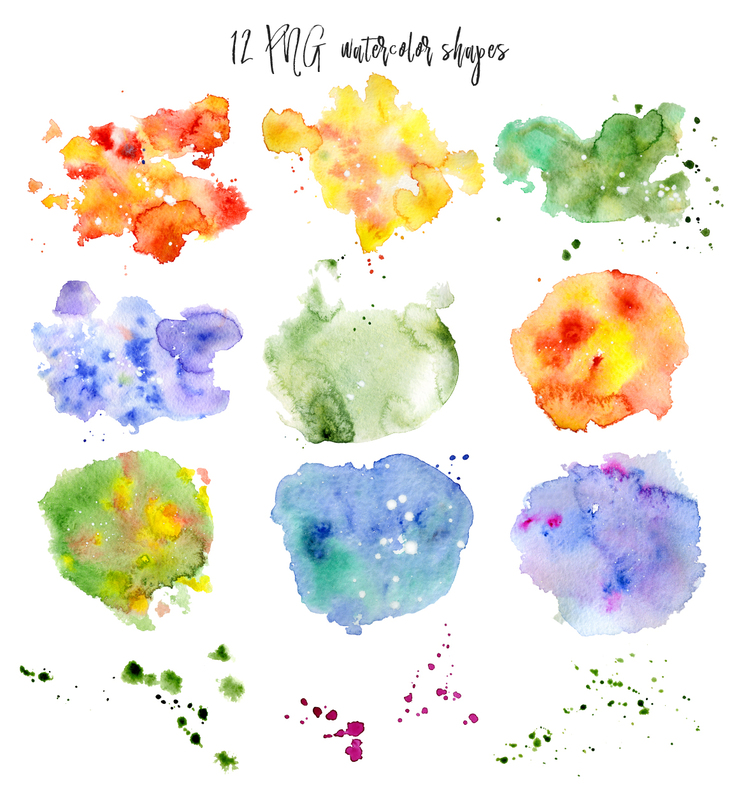 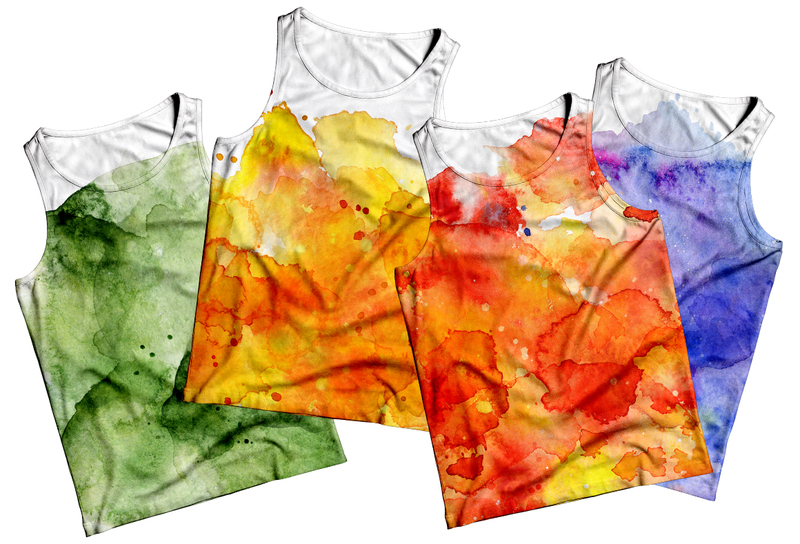 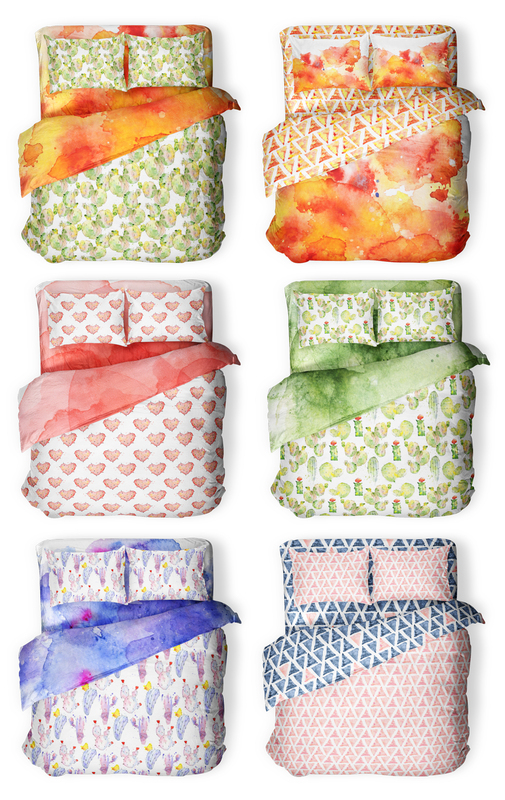 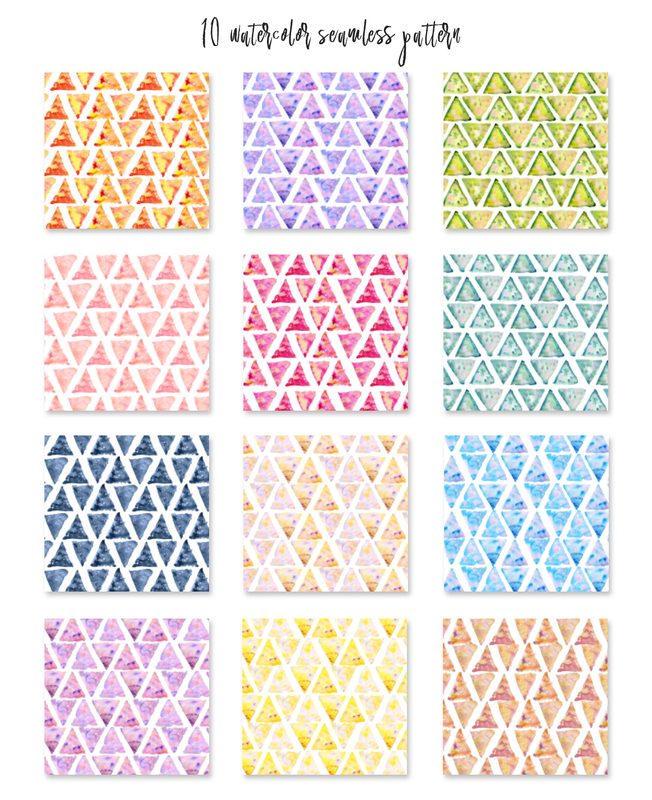 Watercolor paintings scanned at high resolution and have transparent background. 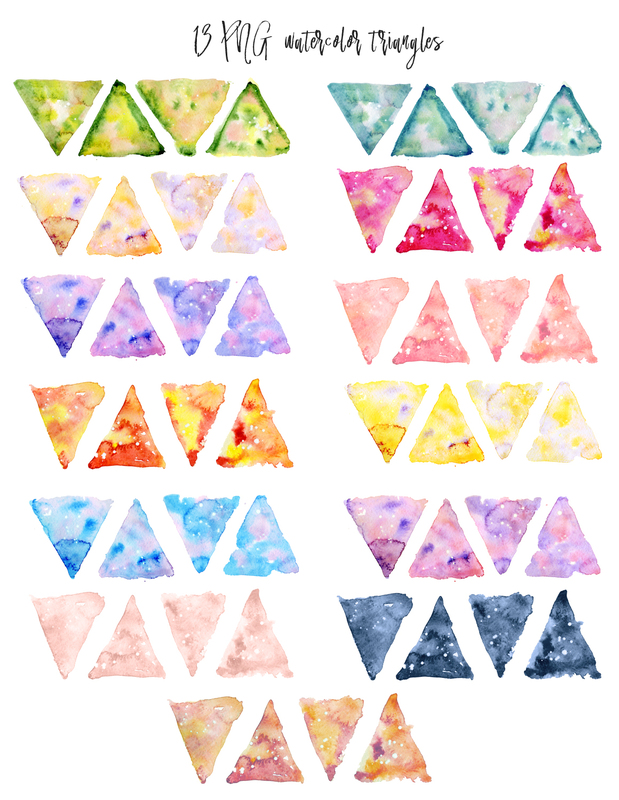 INCLUDED: All files are (300 dpi) with transparent background.